It was nothing short of fabulous. Before the public, the political lie is deemed an imperative, instinctively cultured to repel anything that might appear, let alone resemble, truth. Never, whatever you do in political garb, reveal the game, convey the reality, even if power is only held on trust. Those idiots (the voters, that is) won’t know. Before the judicial bench, however, the same figures find themselves on the horns of a dilemma. Pull the wig over those judicial eyes – or risk perjuring yourself? With that in mind, the story about how the Nationals Senator Matt Canavan became an Italian citizen, making him ineligible as a sitting member of Parliament according to the Australian Constitution, was instructive. Even then, cracks started to appear in the fabricated story. Discussions about his citizenship and maternal suggestions in that direction, were being had around the family table prior to the sneaky visit to the Italian consulate in Brisbane. The directions hearing in the High Court saw a change of heart. Mum was left out of it. 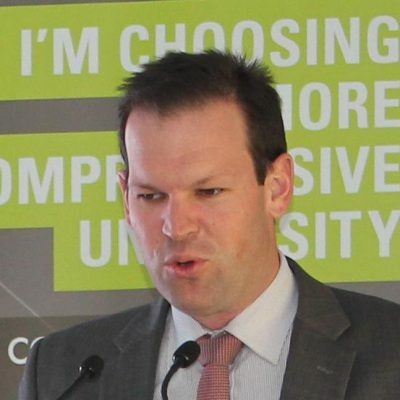 Legal counsel representing Senator Canavan argued that he had been an Italian citizen since 1983 (not 2006, as Canavan had claimed, courtesy of his mother’s intervention), due to a change in Italian law. This rendered Canavan a citizen by descent, rather than birth. This could only have one meaning, claimed legal counsel representing Canavan: section 44 of the Australian constitution would not apply. To read the section any other way, claimed David Bennett, QC, would result in a “ridiculous” interpretation, one that would also disqualify up to half the population from sitting in Parliament. A grim, and truly undemocratic prospect indeed. Canavan was not the only one to revise his shoddy account before the High Court directions hearings. Having given the world a version of events suggesting diligence, enthusiasm and a spirit of inquiry into whether he had either Indian or British citizenship, One Nation Senator Malcolm Roberts revealed that he had only filled in his renunciation documents after his election to parliament. Left with the mountainous task of defending Roberts, a post-truth pedlar who insists that the Murdoch empire offers papers of unimpeachable balance, Senior Counsel Robert Newlinds was knotted and bound. He duly submitted to Chief Justice Susan Kiefel that the British authorities were the ones who had been confusing – confusing, that is, on when renunciation of UK citizenship had been accepted. He then claimed, without more ado, that he had documents showing the same. He was not a citizen, either of India, or the UK, and he had the paperwork to prove it, with a UK acknowledgement on December 5 last year that he had successfully achieved his goal. Not that this paperwork was ever adduced before an ever sceptical audience. As Roberts’ spokesman, Sean Black, explained to Fairfax media in rather telling fashion, the senator “is choosing to believe that he was never British.” A belief to move mountains. Newlinds, despite casting a weary eye over the awful mess his client had found himself in, sensed some wriggle room. The UK Home Office subsequent to Roberts’ election sent him a form to accept the renunciation. But what did it mean? For the desperate advocate, it was unclear whether the British authorities were “accepting the renunciation by the form, or the earlier email.” Pigs, at this point, were well and truly airborne. Confidence continues to be unduly high with the Attorney-General, George Brandis, and Prime Minister, Malcolm Turnbull. This is a constitutional disaster that will be resolved sensibly, without fuss. But to do so will require the High Court judges to overturn a conservative reading of section 44 that has been in place for decades. Turnbull remains “very, very confident that our members who have been caught up in this will be held by the court to be eligible to sit in the Parliament and therefore eligible to be ministers.” This absurdist drama is far from over, and will continue in October. In the meantime, the numbers of the purportedly ineligible representatives will simply grow. More discoveries about hidden citizenships are to be had.